Beginning with a replay of the Chris Crean Story – a TVNZ Documentary on a good father putting his children’s future safety ahead of his own – at Family Start Manukau on Monday 28th August. On Tuesday at University of Auckland, Epsom Campus a first ever Engaging With Dads Lecture, open to the public and students alike, hosted by Joseph Madut Masters Student, Social Work. 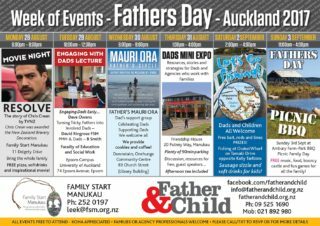 Wednesday August 30th is Fathers Mauri Ora Circle in Onehunga, from 6pm including a light dinner, dads helping strengthen each other abilities, coffee and cookies included. 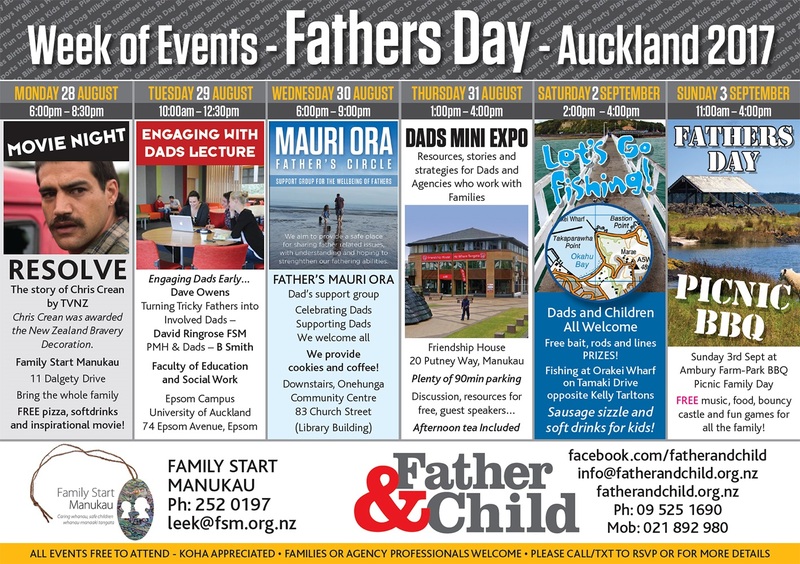 A Mini Expo on Dads will be held at Friendship House in Manukau on Thursday 31st August. 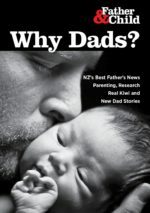 This informal afternoon brings the real world expertise and best resources for engaging dads together in Auckland for the first time. Dave Owens of GreatFathers will be there and we welcome all agency professionals or family support workers. Due to tide times we say Lets Go Fishing at Orakei wharf this year, between 2pm and early evening, we offer free lines, bait and prizes, plus low cost BBQ sausages, we pray the fishing gods are with us! Our annual Fathers Day at Ambury Farm/Park is 6 years old this year, we hope to see you there. With free music, BBQ and bouncy castles, we know that lambs and baby animals await – along with a great walk or a good time with the family. Don’t be surprised if a Mr Whippy van arrives! We welcome all and any koha will be appreciated. Enjoy Fathers day 2017 together. Call 09 525 1690 to RSVP or for more details.